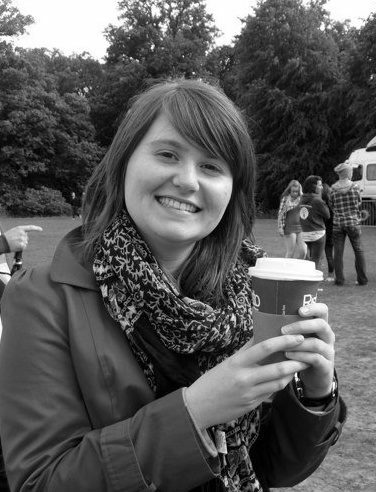 This is the second of a series (currently a series of two, but you never know) of guest blogs from Sarah Buchanan, a PhD Translation student at Queen’s University, Belfast who loves languages and the Bible! Let me introduce you to Marc, an ethnomusicologist and Bible translator from the San Maya people group in Northern Burkina Faso. I first met Marc as he stood at the front of our morning worship at the translation workshop. He played his guitar and led some singing, then shared his thoughts about sowing and reaping spiritually from 2 Corinthians 9. Marc comes from a family of 15. His family was greatly impacted by the life of one lady, whose name will probably not be recorded in any great volumes of Christian history. 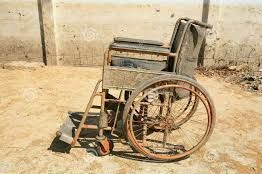 She was an unassuming female missionary who came to his village and gave his aunt a wheelchair, which she so desperately needed. There was something so consistent and pure about this lady’s character that although uninterested in Christianity, many of his family started going to church, and now all but two are devout Christians. What a beginning. Marc was one of the brightest children in his class so he continued his education as far as he could. He ended up teaching Mathematics at the University of Ouagadougou. Yet after some years in the capital city, there was a sense of unrest in his heart, and when he was approached to take up a temporary teaching post in his village, he accepted and returned. While back in Tougan, Marc was approached by SIL about a Bible translation project that would use the translation for the Southern San language, and adapt it for the people in the North and West. The team was looking for the most educated people to complete the project. Marc fitted the job description and he had peace about accepting the role. Meanwhile, he got involved with working with the youth in his village as he worked on the project. Then Marc met his bride and had a son, who is now 2 years old. Marc’s wife, a schoolteacher, shares his vision and helps him teach a Sunday school, welcoming the young people of the village into their home, although sometimes Marc has to say “can you please go home now” to the young people who would stay just as long as they used to before he had a family! Marc continues working on the Bible translation and developing other projects, borne out of his own vision and passion for the people of his community. Marc is taking courses on Scripture Use through SIL, which help him as he travels from village to village after harvest time with a small projector, creating dramatic productions of Bible stories with the local people, and sharing the good news. He writes songs in his own language with local instruments, as this speaks more powerfully and maintains the traditions and language of the San Maya people. No doubt, things are not always easy for Marc and he worries about his wife who has to take a dangerous journey by motorbike to work at the school, yet he has a deep faith and prays fervently as he seeks to make innovative plans to share God’s love and impact his community. He plants ground nuts and sesame, employing teenagers in his village and thereby teaching them new skills. Marc dreams of building a storehouse to increase this enterprise, and of setting up a library with the funds to help educate the young people: he asks us to pray for the young people and for these two projects. Marc’s story inspires me in a few ways. The testimony of the lady shows me the importance of living a consistent and authentic life. His own story reminds us of the power planting the seed of God’s word in different forms in peoples’ heart language, and it challenges us to pray for our brothers and sisters in West Africa, while asking, what does God want us to do in our own communities? I was recently in Southern Mali, working with the Jo people and had the privilege of recording the instrument you see above. Underneath the wooden bars hang several gourds; these serve as resonators to amplify the sound of the instrument. Ingenious! 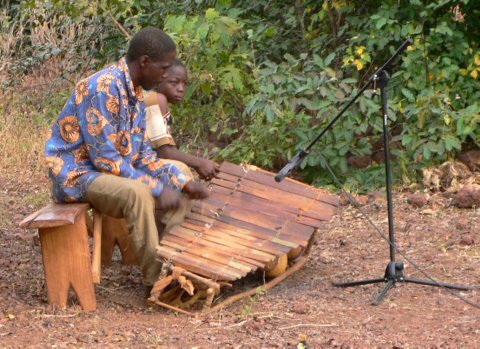 Read more here as Rob talks about the use of traditional instruments in church worship in West Africa. I have just finished writing an article for Wider World, a magazine of the Presbyterian Church in Ireland – so I thought I could share it more widely. They asked for an article to fit in with their upcoming edition on worship – so, of course, I wrote about ethnomusicology! There are around 6,000 Bogo people. Until quite recently they had no church music in their own language or musical styles. Ethnomusicologist to the rescue! So what is an ethnomusicologist? Here is a definition from Rob Baker whom I first met in 1993 when he came as a new graduate of French and Music to teach with us at Vavoua International School in Ivory Coast. I have rarely met someone with such energy, such musical ability and such an appetite for learning languages. An ethnomusicologist encourages the use of indigenous music and other art forms to communicate the Gospel, aid literacy and educate. Music is not a universal language, neither are any of the arts, so we need to use culturally appropriate art forms which have a significance for a given ethnic group and which can therefore speak to their hearts in a meaningful way. I’d had an e-mail from a colleague a few weeks back saying: ‘We are losing our traditional songs in favour of Ewe songs, can you help?’ Ewe is a much larger people group, but the Bogo also deserve to use their own music for God, so I agreed to come along and help. I was scarcely out of the car when I was met by a whole crowd of women singing a song of welcome. At the end of the song they all gave out a high pitched ‘Eeeee’ cheer and one lady promptly put a necklace round my neck. Wow! What a warm welcome! One of the first things Rob does with each local group is to find out what musical genres or styles are used in their culture. The Bogo have four musical styles: one for joyful occasions; one for funerals; one used only by women; one only by men. Musical genres exist in our culture too – you wouldn’t use the same music style for a love song as you would for a football chant! It also exists in our churches: for example we may use the organ to accompany favourite old hymns – and guitars, flutes and drums for more modern praise songs. Over three days we got eleven new songs written, some based on Bible verses and some on parables. In one genre, large barrel drums are usually played. They said they’d have to get the permission of the village to use them for these new songs. On the day of recording, they not only brought the drums but also an old man from the village came along to play his horn. You can listen to some of the Bogo people singing Biblical songs in their own style for the first time. It may not be your taste in music, but you’re not a Bogo person and I think you can tell how happy they are! Before local people start composing new songs, Rob leads a Bible study and they decide together which Bible passages will be used. First I present the verses – we start with three parables: the Sower, the Good Samaritan and the Prodigal Son. These work well as story telling is a big part of African culture and the settings of these parables are, in many ways, closer to African experience than western. As I’m explaining the Parable of the Sower, I notice that just outside the door there is a field of maize, in front of which are weeds and then a path. Wow! Shame there was no rocky ground! Ethnomusicology is a crucial tool for helping people engage with God’s Word. I vividly remember being in a Presbyterian church in English speaking NW Cameroon in 1990. The hymns were sung without enthusiasm, and probably without understanding of the English lyrics, from an old Church of Scotland hymnbook. But when it was time for the offering, the atmosphere totally changed as people sang praise songs in their own Lamnso’ language. 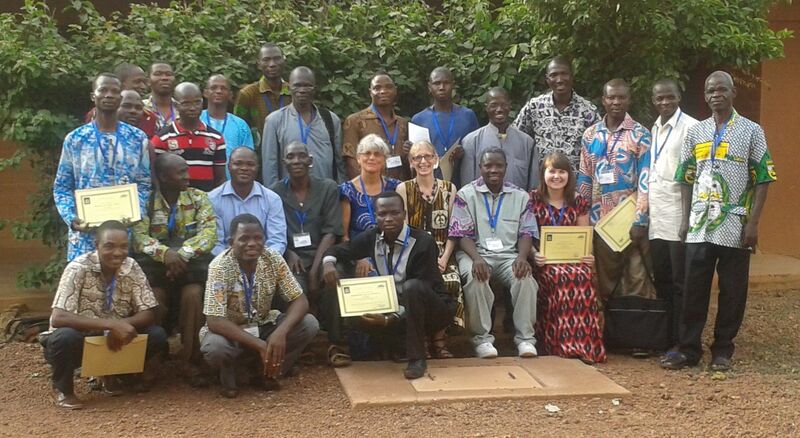 Ethnomusicolgy is just one of a host of skills that are deployed by Wycliffe Bible Translators in support of bringing God’s Word to people groups who don’t have any Scripture. Currently there are 2,393 languages where translation has yet to start. You can find out more here. Rob Baker’s website has many more ethnomusicology stories and photographs – look under the Ethnomusicology category.